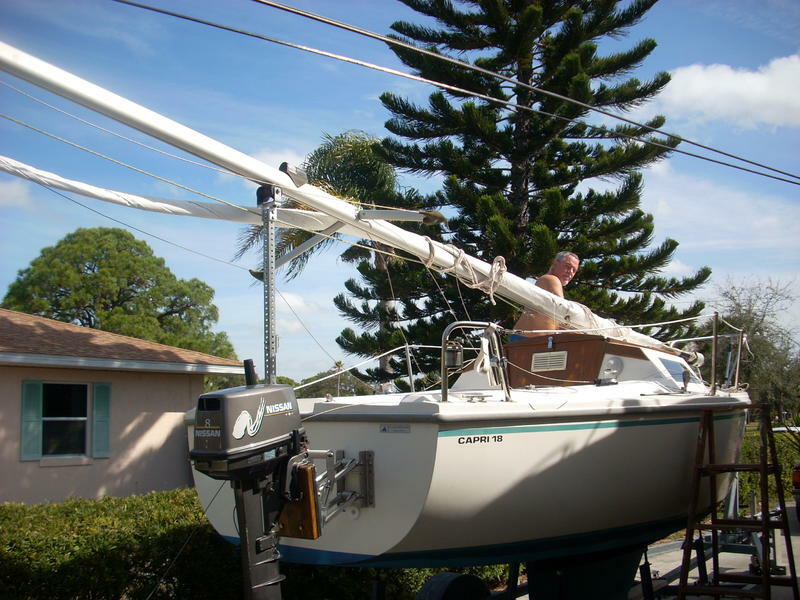 TRAILERABLE,(trailer included) Catalina Capri 18. Roomy (6’8″) and comfortable cockpit with cushioned seats and seatbacks. Well lighted and ventilated cabin with two long berths that can be made into one “jumbo” berth for overnight trips. Portable toilet and cooler. 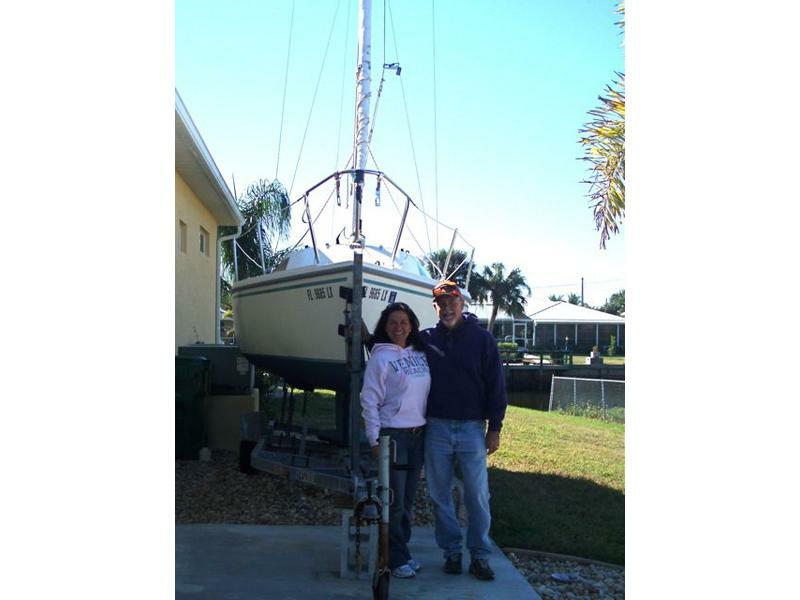 GREAT sailboat for the beginner or skilled sailor. 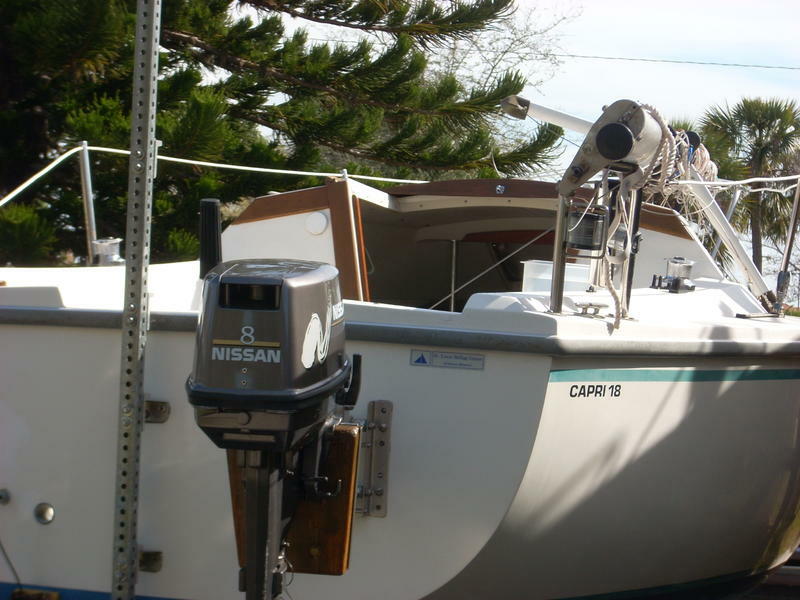 8hp Nissan engine, two fuel tanks, easy to use mast raising system, complete electrical system with cabin and running lights, 12 volt panel and battery, solar battery charger, swim ladder, life vests, EVERYTHING you need to put her in the water TODAY.